“These new board members bring additional leadership experiences and additional industry perspectives to further enrich the impact of the Sales Leadership Community in Atlanta,” said Charlie Thackston, President of SOAR Performance Group and Co-Chair for the Sales Leadership Community Atlanta Advisory Board. “Our students are definitely benefiting from the community and the participation of the board. The addition of these board members will provide new opportunities for the students to learn about sales leadership and careers in sales”, said Steve Young, Lecturer at Georgia State University and Co-Chair for the Sales Leadership Community Atlanta Advisory Board. The next meeting of the Atlanta Sales Leadership Community will be on the morning of October 7th, 2016. The event is by invitation and will feature a panel discussion on “Finishing the Year Strong and Getting Ready to Start Fast Next Year”. For more information on the meeting, please go here. 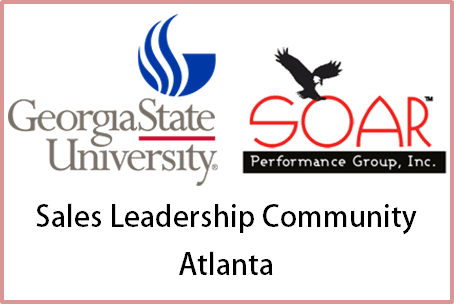 The Sales Leadership Community Atlanta was co-founded by Georgia State University and SOAR Performance Group. The Sales Leadership Community is a cross industry organization of senior sales leaders focused on building a community within the Atlanta market for advancing best practices in sales leadership. It also creates networking and mentoring opportunities for Atlanta senior sales executives with Georgia State University students participating in the Georgia State University Sales Program.